What happens when the web runs full force into your HD television? You get the power to watch what you want, when you want, without having to record shows on a DVR or old school VHS. How can you harness this amazing ability? It's actually much easier than you might think. It only takes a few pieces of equipment and access to broadband speed internet and you'll be watching the latest season of Sons of Anarchy before you know it. Setting up a home media center to stream movies to your home television is a relatively simple DIY task. Pick up a few cords from a local store and you'll be ready to go. The following articles will walk you through the basics of what you need to purchase and how to set it up as well as how to connect your laptop to the TV and use it as either a second monitor or a larger screen to watch movies on. Even after the Netflix fiasco of September 2011, it still remains the most popular media streaming service on the Internet. Netflix was one of the first major companies to push the streaming of media content into the home. First they were strictly via computer connections but then they branched out to streaming over gaming consoles and stand alone media players. We've collected the most important tips, tricks and shortcuts for getting the most out of your Netflix experience and put them all in one easy to follow package. Whether you are setting up Netflix for the first time or using a new streaming device (a Wii or iPod for example), we have everything you need. While Netflix may be the industry leader in streaming home media, that doesn't mean there aren't worthy competitors out there. In fact, there may be as many places from which to stream audio and video media as there are channels on a top-tier cable provider. One of the major questions about streaming is where can it be done legally? We'll let you know and then follow that with some of the best places to find content. We also take a look at some of the problems with streaming from services like AppleTV and give you a review of the Roku XD media system. How Can I Download Movies Legally? Where Can I Watch Old TV Shows Online? On Demand? What is Apple TV? When streaming first started to go mainstream, it was relegated to the arena of computers. Only computers connected to a high-speed network had the ability to stream audio/visual media. Now that high-speed Internet access is becoming ubiquitous, anything with a powerful processor can stream media. This has led to gaming consoles becoming home media hubs capable of running applications for streaming services like Netflix, HuluPlus and TVersity. Although gaming systems are the major new entry into the realm of streaming media, they are not the be all end home media systems. 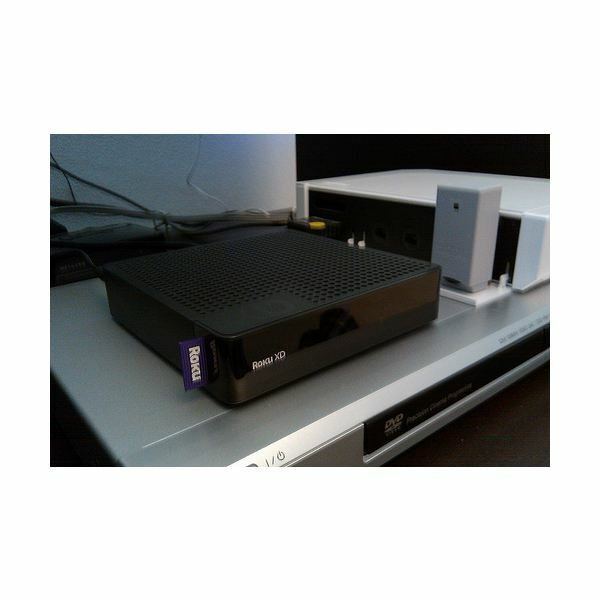 A home network can include network media players and external storage drives as well. If you don't own a gaming system take a look at the best network media players and see what your options are. The Java PS3 Media Server – What is it all about? Initially, when someone wanted to stream media it had to be run through a hard wired system. Is that still the case? Can you stream media over a wireless network? If so, will the quality of the image suffer? We'll let you know if the wireless revolution is here or if you'll have to wait a few years. Wireless HDMI – Top Dollar, Less Picture? Can HDTV be Streamed over Fiber Optics Networks? Can Full HD be Sent Over Wireless N or G? The only real drawback to having all of this awesome home media equipment and being able to stream HD content from your computer to your big-screen TV is that you have a pile of remotes on your side table when your bag of chips should be. Thank goodness this bothered the techies as much as it bothered everyone else, so much so that they created the universal remote. No matter which universal remote you have we have a guide on either set-up or trouble shooting and if you haven't gotten one yet we have several choices for you. You can even use your PDA or iPad with some of the streaming services. Thanks for taking a tour to see what happens when the web becomes a viable resource for streaming media. Hopefully we have answered all of your home media streaming questions but if we haven't please drop us a line and we'll try to answer whatever we missed.